Resistance moment of bolted connection of rigid steel flanges etc. The program offers exceptional accuracy & stability. The algorithm has been published in international scientific journals and has been presented in international conferences. 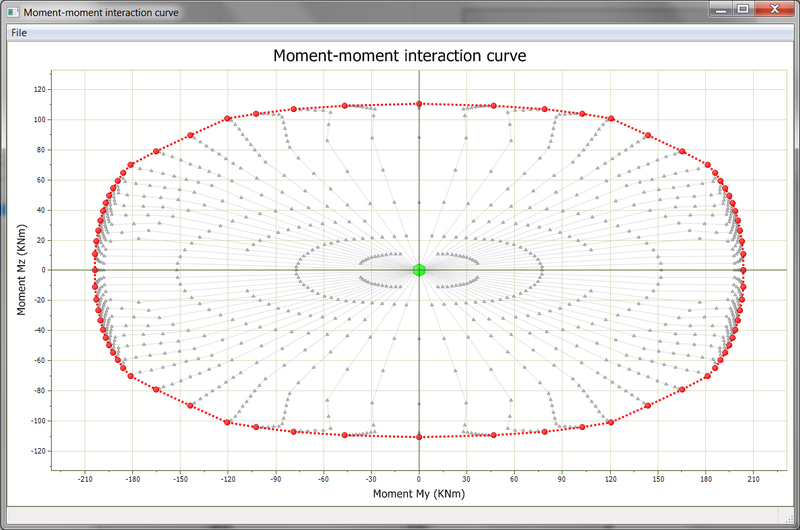 Precise moment-curvature diagram and calculation of ultimate moments for given neutral axis direction. 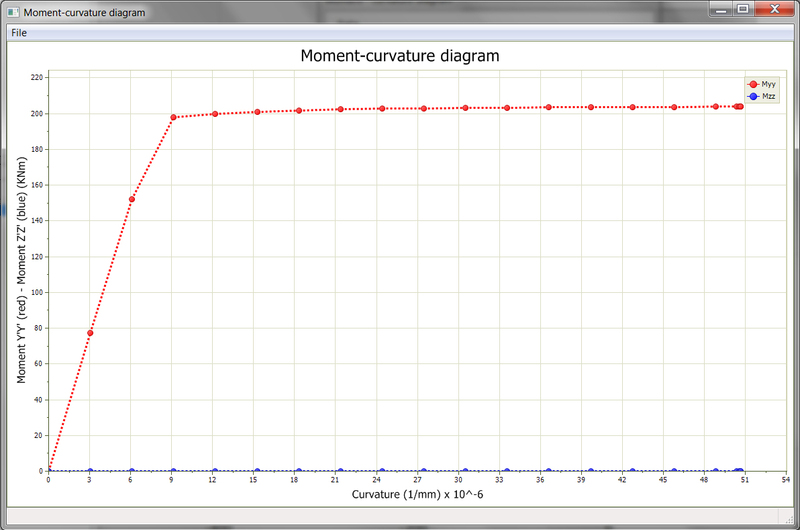 Precise moment-moment interaction curve for given axial load. Calculation of the deformed shape of the section under given external loads. Capability of creating the full failure surface of a section using multiple interaction curves for various axial loads. Precise definition of arbitrary sections using curvilinear polygons, i.e. polygons with edges that are straight lines or circular arcs. For instance, the steel sections (I, IPE, HEB, L,...) are defined exactly, using arcs and straight lines, without any approximation. 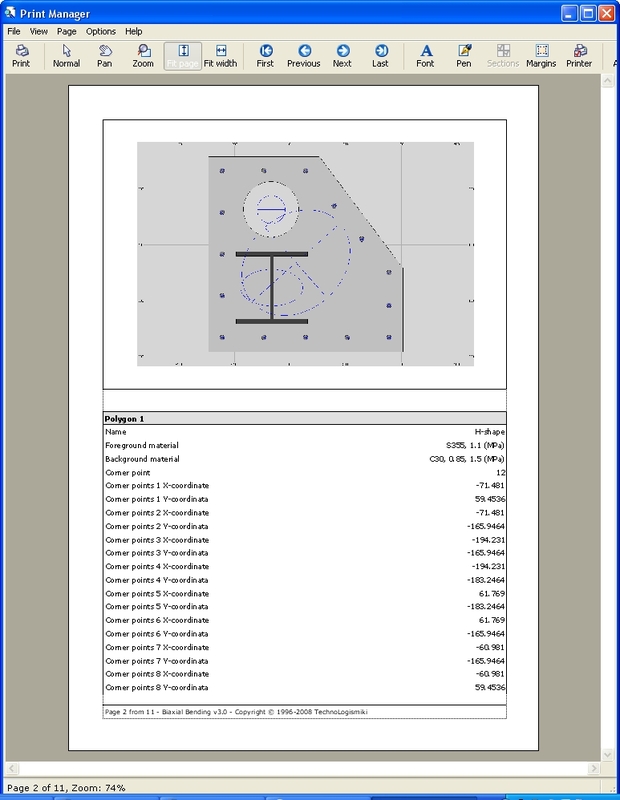 All objects (even the small reinforcement bars) have precise dimensions. No object is taken into account as non-dimensional fiber. Two material properties are defined for each object: the foreground material and the background material. For instance, the area of the concrete that is occupied by the steel bars can be taken into account. 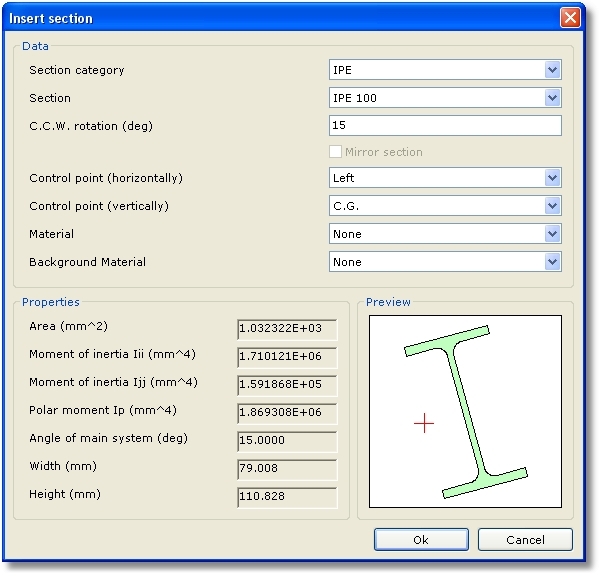 No restriction in the definition of composite sections. The user can define multiple materials, holes, embedded sections, reinforced sections, areas with different confinement etc. 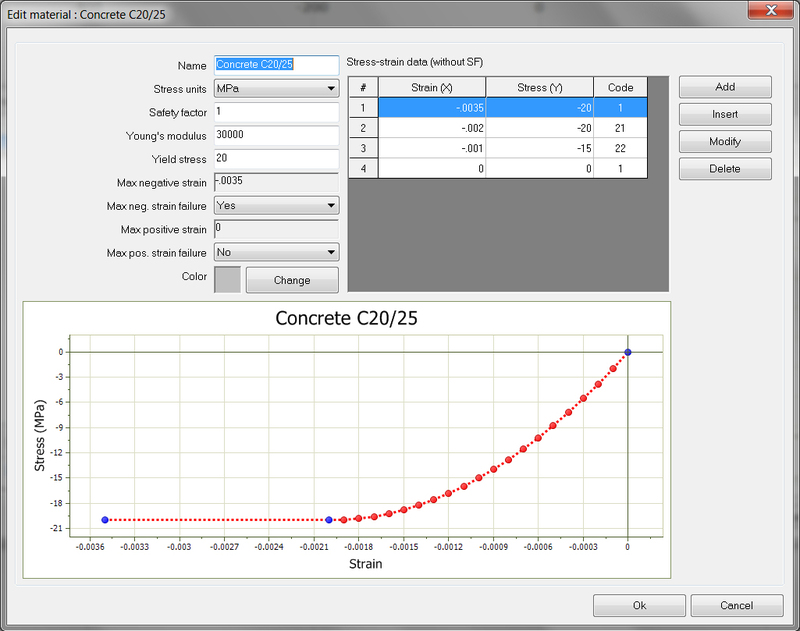 Generic stress-strain diagrams for materials (steel, concrete, soil, etc). The diagrams are defined by consecutive cubic polynomials, fully customizable by the user. Automatic calculation and usage of the elastic centroid of the section. 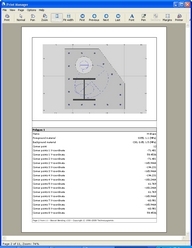 Automatic calculation and usage of the plastic centroid of the section. Precise calculation of the geometric properties of all objects. Variable calculation accuracy, customizable by the user. Analytical integration of the stress field, even in the case of curved edges. Very generic program, that can be used for any problem in which the Bernoulli-Euler assumption (plane sections remain plane after bending) holds. Full and customizable material database. 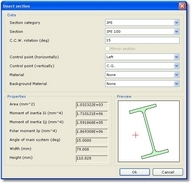 Automated tools which construct common objects such as circle, rectangle etc. 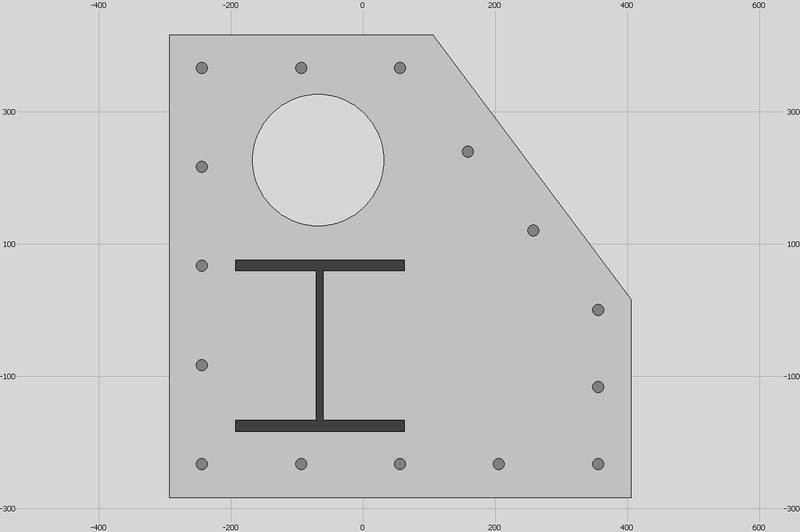 Import objects from DXF files. 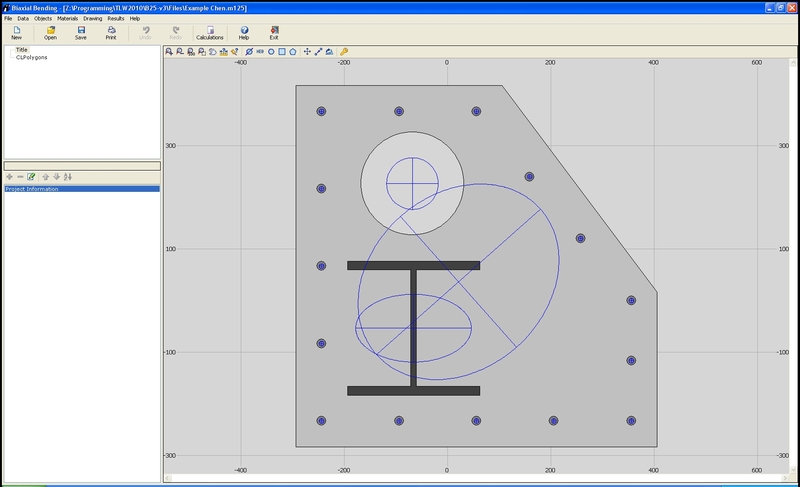 Export section to a DXF file. Professional reports which can be printed directly or send to Microsoft Word 2003 or newer. Greek and English interface & reports.